Throwing an "Ugly Sweater" party this holiday season? If so, award an Ugly Sweater Christmas Trophy to the worst of the worst! 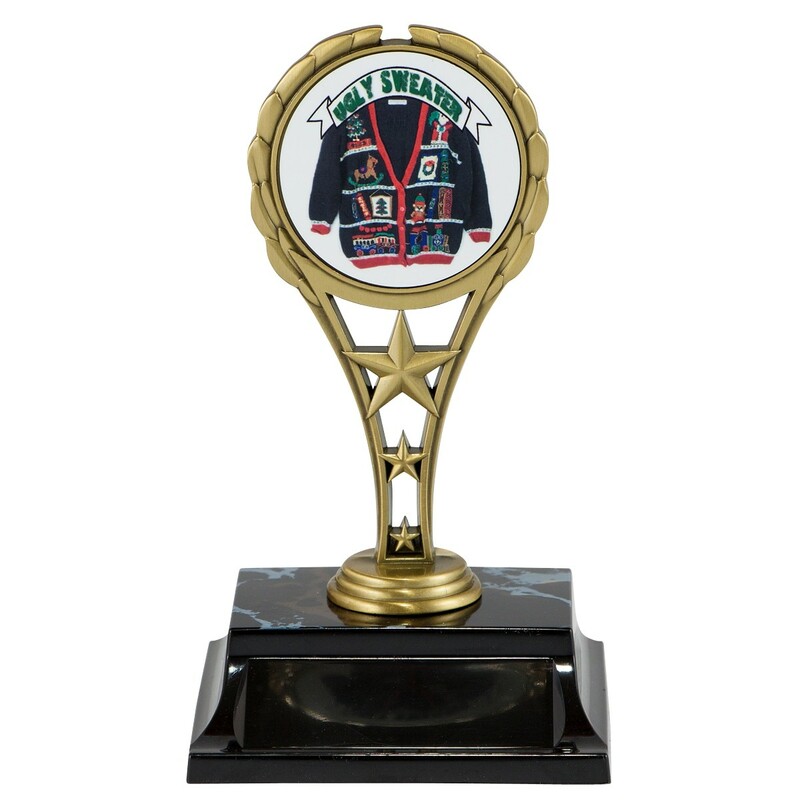 Measuring 6 inches tall, this trophy features an antique-metal rising stars figure with a graphic of an ugly sweater in the center. In your choice of Black Ugly 90's Sweater or Dancing Reindeer. 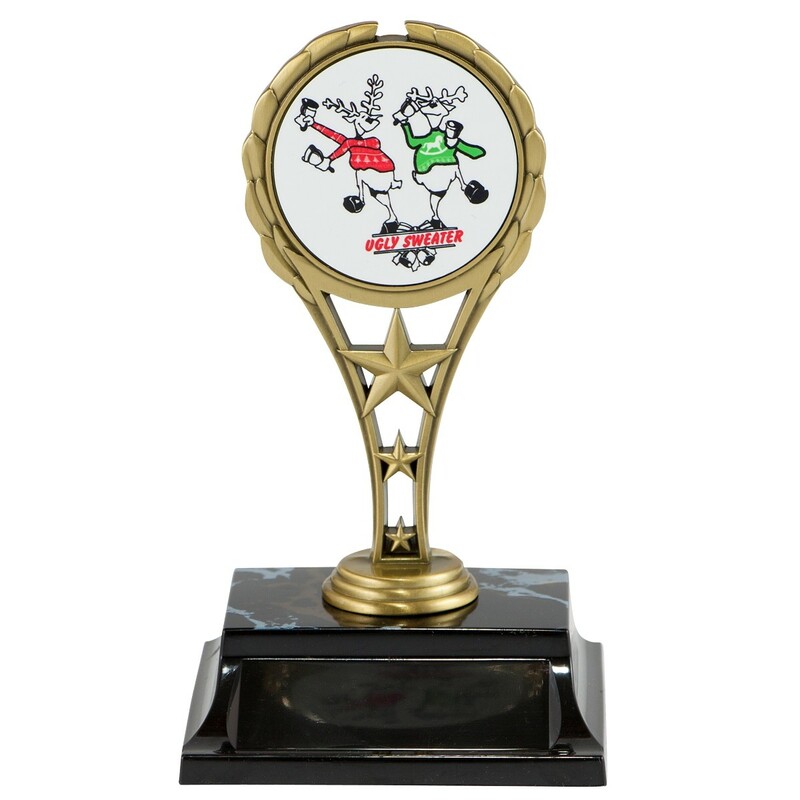 The figure is attached to a black simulated marble base, which includes 3 lines of personalized engraving for FREE! 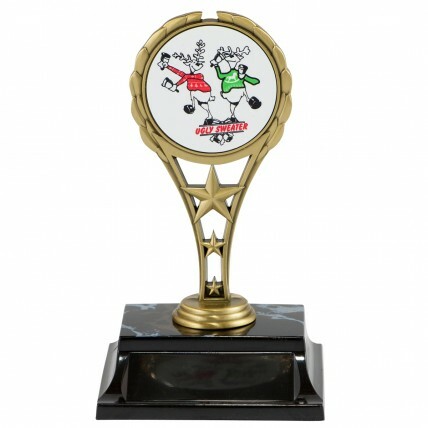 This holiday trophy will be the hit of your festivities!